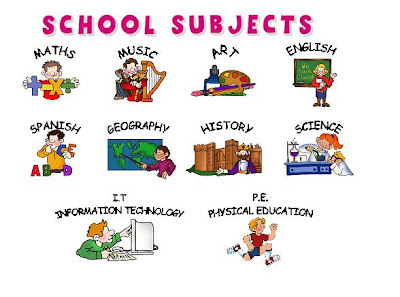 *· We provide a holistic curriculum that embraces the totality of the child. Pre-School at the Academy is the child’s first experience outside the warmth and security of the home. Creating and maintaining a caring, nurturing environment is our first priority. We make systematic efforts to involve parents as partners. The Pre-K classrooms are alive with activities designed to develop cognitive and language skills, math readiness, music and rhythm. Children learn through play. It is a natural way for them to explore, to become creative, to problem solve and to develop social skills. Our teachers use play to further language and vocabulary development, improve social skills, and introduce scientific and mathematical concepts. Students tackle the personal reading of diverse literary genres, using roots and context clues for decoding words. They become more proficient in grammar, proper spelling, and the mechanics of writing, allowing them to edit, rewrite, and proofread their own and their peers’ stories and reports. At the Junior High Level, learning becomes increasingly research based. The students’ writing expands to journals, narratives and poetry. Peer reviewing and editing are the norm. Grammar and the mechanics of writing are addressed within the context of all written work. Critical thinking skills are developed to interpret both fiction and non-fiction. Independent study and self direction are promoted in preparation for study in high school. We have put in place an annual project for our 8 th Grade entitled The 8 th Grade Living History Symposium. Each member of the graduating class writes a major paper on a person in history who has made a significant contribution to our world and to the common good. With all the rules of grammar and composition in mind, and drawing on the research methods they have been taught, this major work is meant to be an opportunity for the students to display their competence and writing abilities. Working together, the three Junior High teachers grade the written papers. Presenting the material orally is an equally important part of the project. Judges are on hand to select winners. Poise, diction, connection with the audience, creativity and the period costume are all taken into account at this point in the assessment. The awards are conferred on Class Night. Significant attention is given to teen issues at the Junior High Level: peer influence, responsibility to avoid smoking, alcohol and dietary extremes. Comfort and confidence in one’s sexuality is nurtured. Specifics of reproduction and behaviors are addressed in the Family Life Program.